(Newser) – In a case of Dre versus Drai, the US Patent and Trademark office has handed a win to ... Drai, thus ending a three-year dispute that pitted Dr. Dre (real name Andre Young) against Dr. Drai (real name Draion M. Burch). One, of course, is the rap mogul who discovered Snoop Dogg. The other is a Pennsylvania gynecologist and media personality who appears on webinars like "What Your Mama Didn’t Tell You About Making Babies." The trouble started when Dr. Drai, whose speaking fees run about $5,000, according to the BBC, sought to trademark "Dr. Drai" and "Doctor Drai OBGYN and Media Personality." 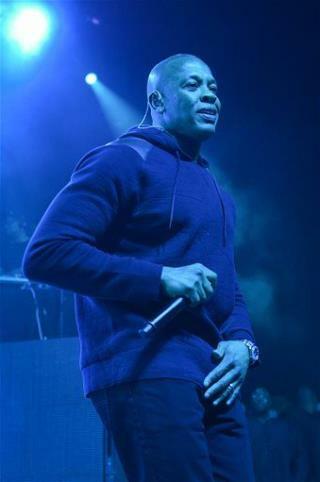 Dr. Dre objected and argued that his own name is similar and appears on the same type of media, such as MP3 files and "other types of public performance," reports the Washington Post. ??Mr. Dre, Mr. N.W.A, Mr. AK coming straight outta Compton, y'all better make way!?? I love it when someone finally opened a set of "beats" and found steel weights in them to make it seem like they had rare earth magnets. That totally explains why they have such flat frequency response and are crappy in the lower and higher frequencies. A set of much cheaper Koss put them to shame. Of course he cleaned up by selling the pieces of crap to Apple. Do yourself a favor, buy Koss or Sennheizer.